Although Raja Ampat boasts the world’s most diverse marine habitat, the area around Gam Island is covered in floral communities including Mangrove Forests, Beach Forest, Lowland Forest and Sub Mountain Forest. This broad variety of habitat offers respite for a wide range of animals such as birds, mammals, reptiles, amphibians, butterflies and plants. Many of these species are very rare or endemic to this area. As you can see the birdwatching and jungle trek in Raja Ampat will be an exciting activity that you should not miss. In order to improve the local economy, we source these local guides from neighboring Yenbeser Village. They have walked the jungle trails many times, and their local depth of knowledge of the plants, trees and animals that inhabit these forests will astound you. They will also spot insects, wildlife and plants that our foreign eye never can. Although animals such as Spotted Cuscus, an array of colorful Butterflies and many forest birds can be seen, the main attraction is by far the Red Bird of Paradise as this is one of the only places in the world we can get to witness these truly amazing birds. We advise you to read up on some literature about them before doing this walk so as to maximize the enjoyment and magnitude of your walk. These birds are very rare and they have their own special tree about 45 minutes from right at the back of our property. Upon reaching “base camp” you will soon be awarded by one of the most elegant and exotic displays in nature as there have been sightings of 4 male birds dancing and displaying to 1 or 2 females, vying for the chance to mate. These females are so choosy that it might take many visits by many evils before anything happens. After week upon week, day after day and countless hours some evils still never get the chance to mate! 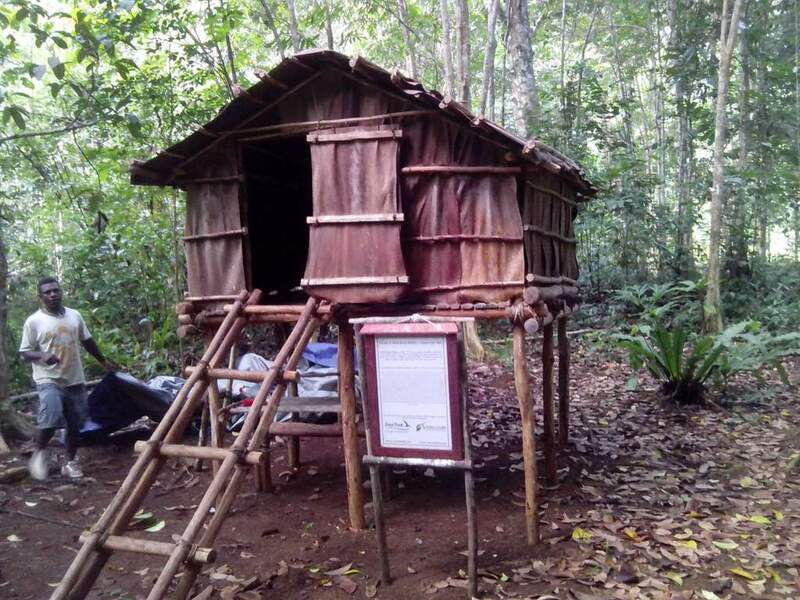 First option is right behind our property , a nice and easy path through the jungle will take you to base camp. Here you will be able to enjoy the courtship dance of the Red Bird of Paradise, which is endemic of Batanta, Waigeo, and Gam island. The guide, Yehuda, keep the path and base camp for guest. Price: IDRp150 000 – Payable directly to guide. For the ones who want to enjoy a little bit more trekking and dance , we can offer a longer trip. Our guide Simon will pick you up at our EcoResort to take an amazing boat drive through the bay. After 20 min we will arrive at the starting point for the trek. This time a little bit more difficult but not too difficult, just half an hour trek. Upon reaching “base camp” you will soon be awarded by one of the most elegant and exotic displays in nature as there have been sightings of 4 male birds dancing and displaying to 1 or 2 females, vying for the chance to mate. These females are so choosy that it might take many visits by many evils before anything happens. After week upon week, day after day and countless hours some evils still never get the chance to mate! Price: IDRp250 000 – Payable directly to guide. We would recommend you to witness this once in a lifetime opportunity. The walk is easy going but in the forest and you will inevitably get wet. Wear a short and T-shirt, some good sturdy sandals or shoes and take along binoculars and your camera (please switch off all sound). Put on some insect repellant and let the local guide go show you a true spectacle of nature. Please note that Biodiversity is only an intermediary between our guests and the local guides. We are not responsible for the way the tour is conducted, local guides are independent of Biodiversity. 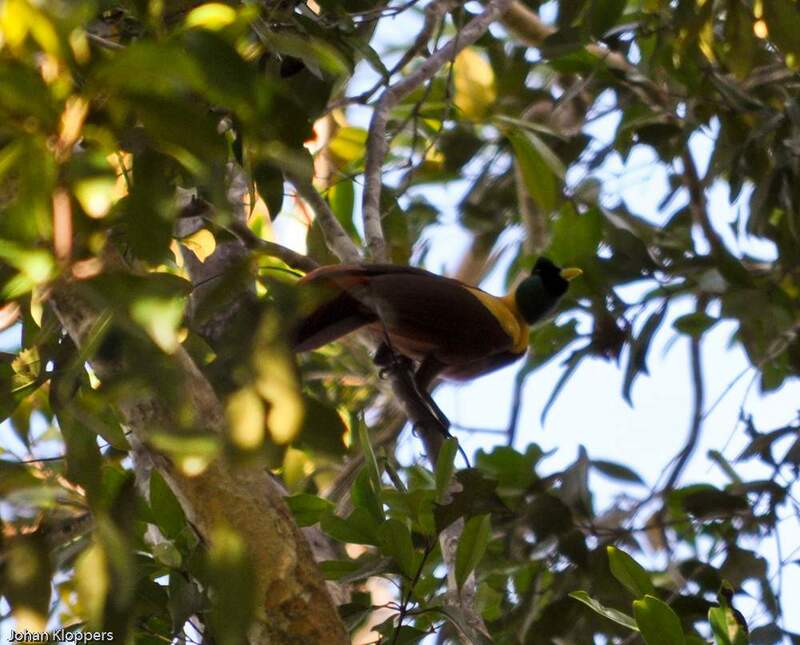 We can also organize treks to see the Wilson Bird of Paradise , one of the most beatiful birds of the world. We will organize transportation to the neighbout island of Waigeo (10-15min boat drive). We will drop you off at Sapokren where you will meet the local guide. Most of the trek is done though the main road, and it takes around one hour to get to the base camp. Wilson’s bird of paradise is rather small. Males can reach a length of 16 centimetres. The male is a red and black bird of paradise, with a yellow mantle on its neck, light green mouth, rich blue feet and two curved violet tail feathers. The head is naked blue, with a black double cross pattern on it. The female is a brownish bird with bare blue crown. The rituals of seduction of these birds clear an area in the floor to create a ‘display court’. Then they perform an elaborate mating dance to impress a potential mate. The male usually exhibits the attractive breast shield and accompanies the mating dance with song and calls. 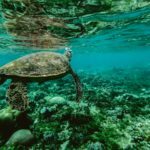 Even today we often find ourselves gazing at exactly what Russell Wallace described; It is as though we are the ones on the brink of discovering a new species, enveloped in such amazing biodiversity. 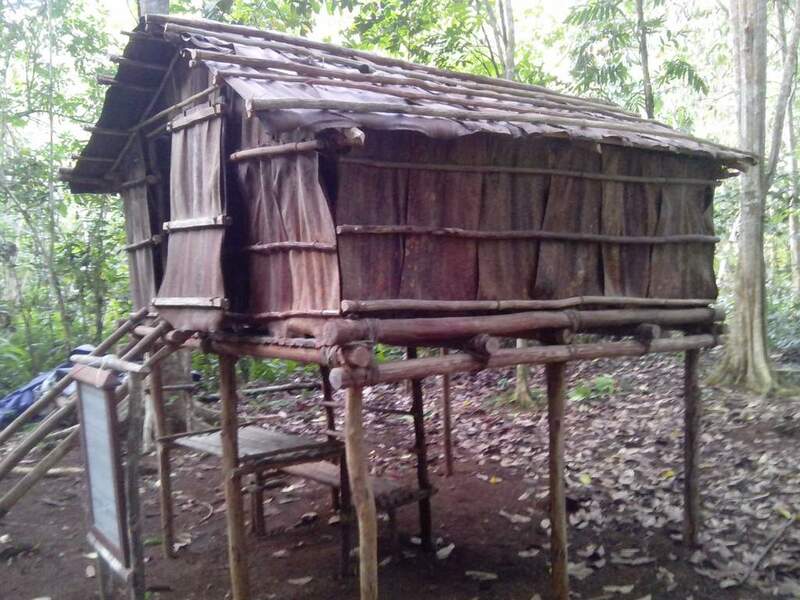 You can visit the exact same hut, seen in the photo below, where Sir Wallace stayed while studying the bird of paradise. This is the list of other species that have been found in the area.